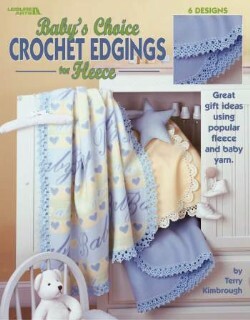 Need a quick gift for a baby shower? Whip up these six soft fleece blankets with crocheted edgings in a jiffy. When you finish crocheting, you've finished the blankets. Leaflet - 4 pages by Leisure Arts.